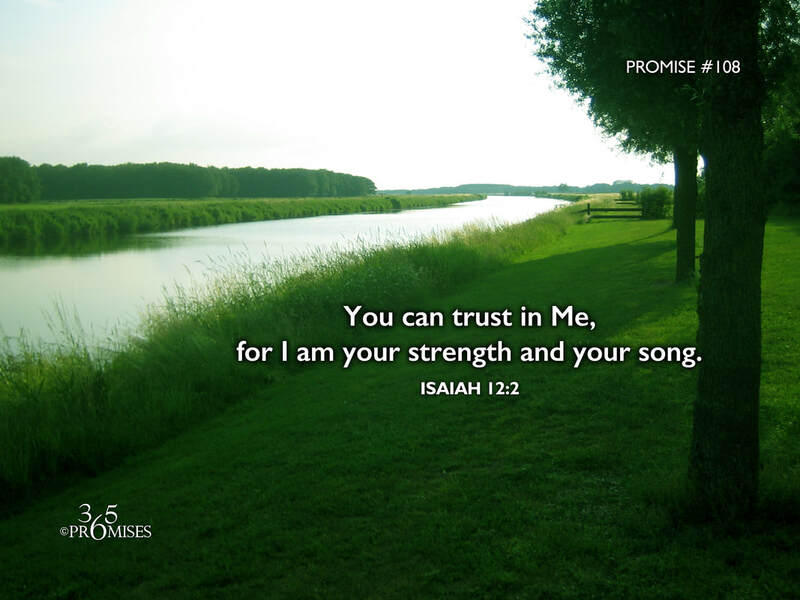 You can trust in Me, for I am your strength and your song. God loves it when we trust Him. Trusting God is truly committing our lives into His care and not trying to manage life all on our own. In Proverbs 3:5-6, we are encouraged to trust in the Lord with all our heart and to not lean to our own understanding. God wants us to lean into His care today and not depend upon our own ability to manage life. When we realize that our God and Father is indeed trustworthy, then we will not be afraid of anything that comes our way. We will know beyond the shadow of a doubt that the LORD is our strength and our song and our very salvation. However, before we can truly enjoy the benefits of living a fearless life filled with God's strength and His song, we need to deal with the trust issue. God wants to restore childlike trust to each one of us. The trust that was broken when we were little children can be restored in our relationship with our Heavenly Dad because He is indeed trustworthy in every way. My prayer is that we would all would trust in our Abba more today than we did yesterday and that our ability to trust in God would increase every day for the rest of our lives. God is our salvation. We will trust in His goodness and not be afraid. He is our strength and the song that we sing every day. Hallelujah for such a wonderful salvation!